Here we are, a little off the end of the year and gearing up for what we hope will become a far more successful year. 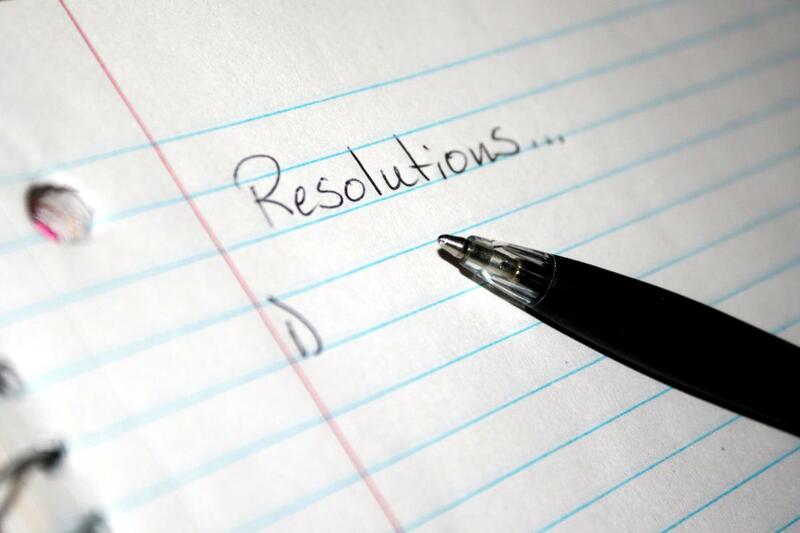 Perhaps a New Year’s Resolution is part of your plan in making that better year become a reality? While many people make New Year’s Resolutions, only a tiny portion of people actually make it through the first few weeks, let alone achieve the outcome that they wanted. Last week, we looked at what you can do PRIOR to January 1st in order to help make sure that you have a rock solid plan in place and that you’re mentally prepared to take on your New Year’s Resolution with the determination and capability that you require. This week, we’re going to look at what happens after January 1st so that you can help keep things on track. 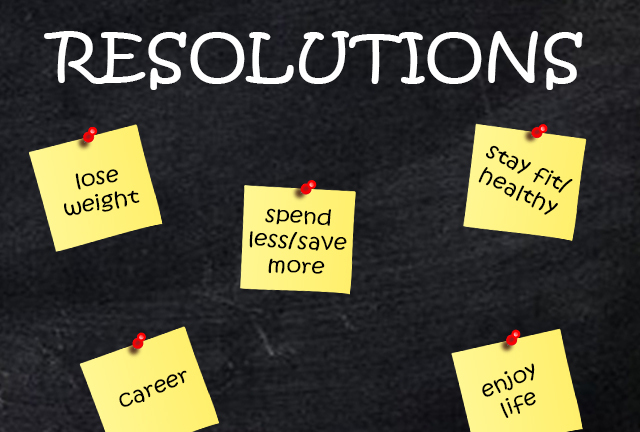 So, regardless of if you want to lose that weight, get in shape, stop smoking, learn to become less stressed, taking up a new hobby or even just being nicer to one another, here are some tips on what you can do post-January 1st to ensure your success. As part of your preparation, you’ll no doubt have become aware of when the ‘problem habit’ usually kicks in. With that, you’ll want to consider what your triggers are and how you can get around it. In many cases, it will be wiser during the initial period to stay away from the environments or triggers if possible. Ensuring that you’re well rested and eating healthy will also give you the willpower to help resist temptation. Doing something that puts you in a good mood will help to keep you in a resourceful state as well as give you that boost when willpower states to wear down. In one experiment, researchers gave one group of students a film clip of Robin Williams doing stand-up to watch while giving another group a film about dolphins. During the last part of the experiment, the students who had watched the funny clip were able to perform more complex tracing projects that involved lots of self-control over the students who hadn’t. Simply allowing yourself time in the morning to quietly focus and contemplate on WHY this is important to you and what the benefits are for you will often help to keep people maintain their willpower and resilience. Come up with a positive affirmation that just makes you want to go for it. Write it down on a card and look at it throughout the day. Repeat it loudly to yourself. Also, write down the things that you’re most proud of in your life. Willpower is much like a muscle and the more you use it, the stronger it gets. A recent article talks about The University of Albany doing an experiment where they asked 122 smokers who were quitting to exert extra self-control for a two week period, either by avoiding lollies or by squeezing on a grip strengthener for as long as they could twice a day. In the following month, 27% of those who had performed what had been asked of them daily successfully stopped their smoking habit, compared with just 12% of those who had been given a daily task that didn’t require self-control. The need for perfection can have it’s pros and cons. While it means that you’re aiming for the best you can (pro), it can often mean that we can be even harsher on ourselves when we have a setback and give in (con). The reality is that you’re likely to experience a setback of some kind while trying to give up. That’s ok; you’re only human. Simply get back on track, observe what you have to learn from the setback and keep on going. Once you’ve connected with the ‘why is this important to me’, you’ll be doing it for all the right reasons. These ‘all or nothing’ states (or ‘black and white thinking’) make it hard for us to register how successful we are at changing our habits. Instead of thinking ‘I’ll never eat lollies again’, reduce it to specific times. Make sure you’ve set up specific milestones for you to achieve and have an appropriate reward planned for when you’ve hit that milestone. It will give you something to really look forward to. You can use hypnotherapy to have change habits in a multitude of ways. You can use it to help connect with that future successful version of you. You can use it to help resolve internal conflicts that are holding you back from being successful. You can use it to help learn new skills to cope or to tap into skills that may already exist that you hadn’t connected to the problem state. You can use it to help reframe the way you feel about your past habit and to help give your relationship with that habit a far different meaning. The key thing is this; there is no magic bullet, no ‘wonder hypnosis script’ that is going to ‘cure’ everyone and change them. It comes down to a skilled hypnotherapist who asks the right questions to get to the root of the problem and who works with you to make lasting significant changes. Would You Like a FREE Hypnosis Audio Download?